Norma Jean Schoppa went to be with her Savior Lord Jesus on February 8, 2019 in Poway, CA. She was born in Lincoln, IL on August 1, 1933, the first child of Henry and Marie (Ramlow) Gaydosh. She is preceded in death by her beloved husband of 56 years Roy, her parents, sister-in-law Laura Gaydosh and her grandson-in-law Richard Pagett. Norma’s life can be summed up with the words “A quiet life dedicated to service and others”. At an early age, Norma was the primary care giver for her grandfather who was a double leg amputee. This led her to pursue a career in nursing graduating from Nurses Training in Springfield, IL. 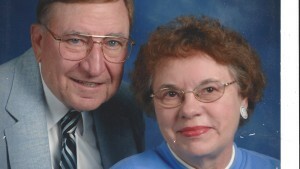 It was there that Norma met the young seminary student from Texas, Roy Schoppa, who would become her partner in life and ministry. Norma and Roy secretly wed in November 1956 with a formal church wedding taking place the following June 1. Upon Roy’s graduation, they moved to Twenty Nine Palms, CA where they began their journey in ministry together. Norma continued nursing there as a home health nurse and kept her license valid till retirement. In support of Roy’s career, Norma and Roy continued moving west, eventually settling in Torrance, CA to pursue a call at Immanuel Lutheran Church in Redondo Beach where side by side they served for over 27 years, with Norma acting as the Parish Coordinator for most of that tenure. In addition to keeping the church and Roy organized (no small feat), Norma was involved with many church related activities such as Sunday School, the Lutheran Women’s Missionary League, Stephen Ministries, the Prayer Chain, served as the wedding coordinator, and personally made sure the church planters had colorful welcoming flowers. One of Norma’s greatest achievements was serving as the Vacation Bible School Director where she organized and led a large volunteer staff which served up to 800 children from the community. Although, Norma retired from formal church service in 1993, she continued to support Roy with his last official call at Faith Lutheran in Riverside, CA and the various interim ministries he had until his death in 2013. Norma moved to Poway after Roy’s death to be closer to her family. Where ever Norma went, she made a positive impact on all those she met. Norma was an avid gardener, a voracious reader, loved animals, and enjoyed long car rides which she called “bon adventures”. Norma was an amazing cook and loved to share her home and a good meal with others, especially around the holidays. Next to serving her lord and being steadfast in her faith, Norma’s greatest passion was her family and sharing in their lives. 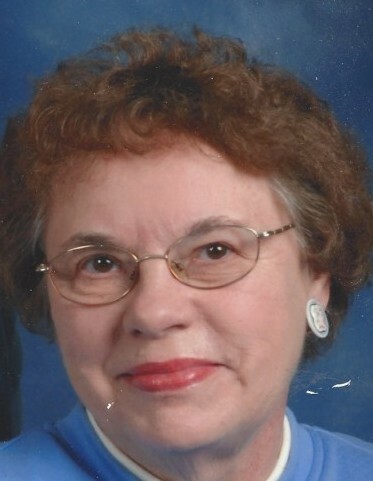 She is survived by her brother Dan Gaydosh and her five children, Chris (Cathy Keast) Schoppa, Lauri (Richard) Huntington, Karen (Russ) Robinson, Andrea Schoppa and Joel Schoppa, nine grandchildren, 10 great grandchildren with another on the way and all those she considered her “church families”. A memorial service celebrating Norma’s life will be held on Saturday February 23rd at Penasquitos Lutheran Church, located at 14484 Penasquitos Drive, San Diego, CA 92129 at 11:00 am. A lunch at the church will be served afterwards. In lieu of flowers, donations can be sent to Penasquitos Lutheran Church to support their ministry.